Welcome to the ArmedForcesLawyers.co.uk website. We hope you have found the information useful and informative. ArmedForcesLawyers.co.uk is a trading style of Bird and Co Solicitors LLP. The Firm is authorised and regulated by the Solicitors Regulation Authority (Click here to access the Code of Conduct.) and its head office is at 15 Castlegate, Grantham, Lincolnshire NG31 6SE. 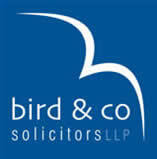 The Members of Bird and Co Solicitors LLP (otherwise referred to as Partners) are Solicitors or Barristers. A list of Members’ names is available for inspection at the firm’s registered office (for companies law purposes) at Windsor House, A1 Business Park at Long Bennington, Nottinghamshire, NG23 5JR. Correspondence can be sent to the Grantham office and also at the Firm’s other offices: 38 Kirk Gate, Newark, Nottinghamshire NG24 1AB and 352 High Street, Lincoln, LN5 7BN. This website is intended to provide general information and a rough guide to the services we can offer. Nothing on this website is intended to be a substitute for properly informed professional legal advice and ArmedForcesLawyers.co.uk and Bird & Co Solicitors LLP cannot accept any liability for any loss, damage or expense arising from purported reliance on the content of this website, howsoever caused. If you require legal advice you should contact this firm in order to speak to a lawyer in confidence. We can be contacted by phone, email and by post, although we prefer phone or email contact in the first instance. Personal appointments are available by prior arrangement at our Newark Office, 38 Kirkgate, Newark, Nottinghamshire NG24 1AB (nearest parking at Morrisons & disabled parking directly outside), Lincoln Office, 352 High Street, Lincoln, LN5 7BN (opposite Argos and near the Magistrates’ Court and railway station), or our head office at 15 Castlegate, Grantham, Lincolnshire NG31 6SE. Correspondence should also be sent to our Newark office, from where it will be directed to the appropriate person. We will always be pleased to assist you. Our services all have their own distinct terms and conditions which will be provided to you by the member of the Armed Forces Lawyers team who deals with your call. 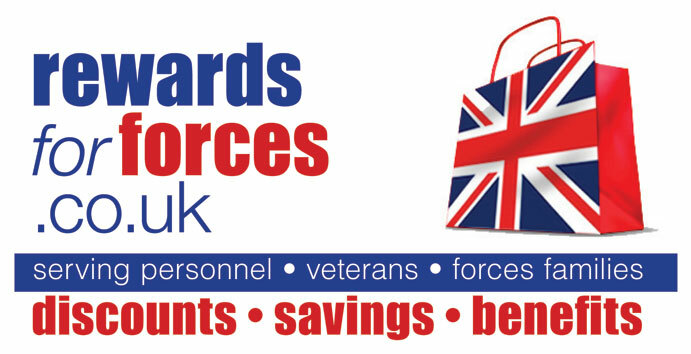 It is our honour and pleasure to provide discounted fees for members of the armed forces and their families, as set out on the relevant page of this website. Discounts are subject to proper official proof of entitlement. 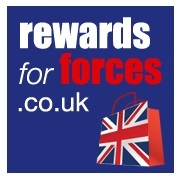 This may include the presentation of a currently valid Defence Discount Scheme or Rewards for Forces card, or the presentation of a currently valid armed forces identification card. Quotations are provided to give you a guide of the prices we charge for conveyancing work. We have aimed to provide best value for money while still providing a quality service. We will honour our prices as quoted on the website and as they are in force from time to time. We reserve the right to change our prices for the future in respect of new or additional quotes. If you receive a quotation and make contact with us to instruct us within 24 hours referring to the previous quotation to instruct us we will honour the price quoted. Some quotations exclude items which cannot be accurately predicted. These include search fees on purchase transactions, leasehold transactions which require management packs, notice or certification fees, indemnity insurance policies, statutory declaration fees, search and/or search indemnity insurance fees on remortgages, and Stamp Duty Land Tax liabilities on certain remortgage transfer of equity transactions. We will advise you of these additional items if you instruct us. Quotations rely on the figures you have provided. In the event that any relevant figure (e.g. the price of the property) alters and/or is inaccurate the quotation may change. It is your responsibility to provide accurate figures. No quotation amounts to a contractual offer and we are not bound to act for you on these terms or otherwise. Whether we act for you is in our absolute discretion subject to the rules of law and professional practice which we must abide by. We may, for example but without prejudice to our general discretion, decline to act for you if we are already acting for another party to the transaction. Any instruction is subject to your acceptance of our standard terms of business, in common with all firms of solicitors, which will be sent to you after you have decided to instruct us. Please note that the Armed Forces Lawyers Conveyancing service is exclusively for residential property, and does not extend to commercial, agricultural transactions, or transactions which relate to the sale or purchase of land exclusively. All such transactions amount to commercial property work and are significantly more labour intensive. © 2007 – 2018 Bird & Co. Solicitors LLP. All Rights Reserved. No content on this website may be reproduced without the consent of Bird & Co. Solicitors LLP save that you are welcome to link to this content for non-commercial use in your blog/Facebook or similar social/non-commercial use. If you are in doubt please contact us.